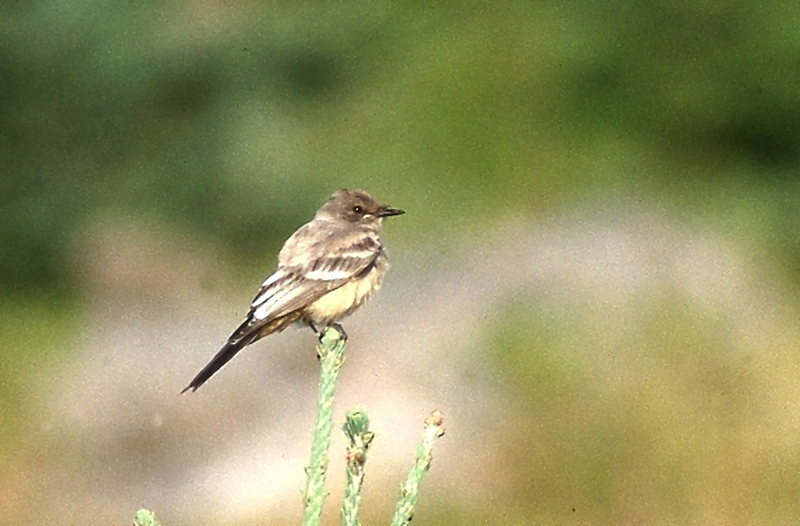 This Say’s Phoebe at Blackhead (near Cape Spear) on September 2, 1996 was the second record for Newfoundland … a scarce vagrant from the west. Origins: Occurs across the western half of North America, from Alaska to Mexico. It is a rare but regular vagrant east of its range. Record Details: Three records for Newfoundland: (1) Cape Spear, October 15-16, 1988; (2) Blackhead, September 2, 1996; and (3) Cape Ray, June 5, 1999.